It’s all about community and bringing attention to all the needs our communities have. The Players have chosen a cause for each performance to raise funds for. 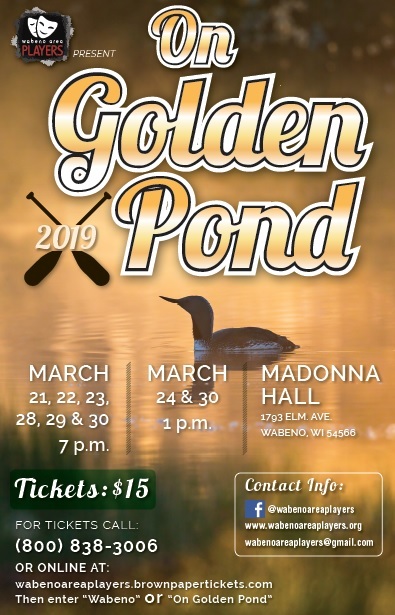 The Thursday night performance will be raising funds for Kaydence Wagnitz to help make her bucket list wishes come true. The Friday performance will be raising funds for the Erna Rousseau Scholarship Fund. The Saturday night performance will be a celebration of the Nancy Volk Auditorium Dedication. All funds raised Saturday will go toward the Nancy Volk Scholarship Fund. 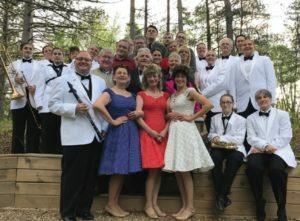 The Sunday Matinee performance will raise funds for the City of Crandon K9 Unit and Forest County Sheriff Department K9 Unit. On Saturday, July 21 a dedication ceremony will take place at 6:00pm in the Wabeno High School Auditorium. We are inviting all former students, colleagues and friends to attend a very special event to honor this amazing teacher, community member and friend. If you were in her classes, theater productions or forensics, please make arrangements to attend. It will be an evening filled with memories. You will also have a chance to catch up with former classmates, friends and teachers. Following the Dastardly Doctor Devereaux performance a reception is planned to share memories and visit with Nancy’s family, former students and friends. A special tribute to Nancy is planned at the dedication. We would like all former students, especially those in drama and forensics, to be involved with this tribute. Please email wabenoareaplayers@gmail.com or call (715) 889-1606 for more information. 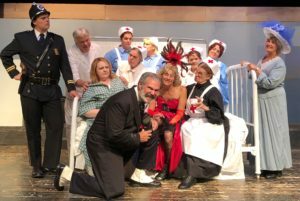 The Melodrama runs July 19 thru 22. The shows begin at 7:00pm for all evening performances (19-21) and at 1:00pm for the matinee. Doors open to the theater 30 minutes before curtain. Tickets run $15 for Adults and $10 for Students. Volunteers are still needed for this production at each performance. Volunteers are scheduled one hour prior to curtain until the show finale. You are able to sit and watch the show as well. If you are interested in volunteering for a great non-profit organization, please call (920) 422-1492.